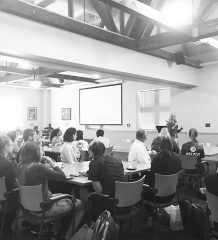 Metanoia 12 is a weekend retreat of faith exploration and growth that is led by students. Gannon University’s Campus Ministry host Metanoia every semester; this is the 12th semester of Metanoia. The retreat will take place from Friday to Sunday at the Villa Maria Retreat Center. Although it is a “Catholic” retreat, anyone can go on it as it welcomes all students on their faith/spiritual journey. It invites them to share who they are and what has made them who they are. 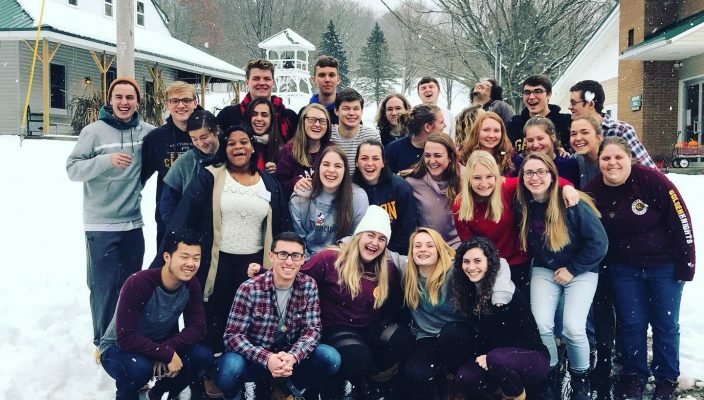 Emily Muntean, a resident campus minister, said that the trip is an opportunity to gather with diverse students to share faith, ask big questions and take time for yourself, all of which work together over the weekend. “Metanoia, in terms of our Campus Ministry programs, is the most diverse program we have,” Muntean said. Metanoia means “a change in heart” and over the course of the weekend, students will, in some way or another, feel their hearts moved. At this retreat, students will be able to get off campus, share their story with others and listen to other people’s stories. The weekend is full of small group exercises, a variety of prayer experiences, silent reflection and free time just to converse with one another. Each leader has the opportunity to share his or her own faith testimony with everyone over the weekend. Muntean said that 36 students have signed up to go to Metanoia this weekend, which is the most they have ever had. There are six student leaders and three staff members who will be there for the entire weekend. Muntean said there is commonality in the goal and purpose of the trip and yet the student leaders make it their own. “This is my fifth Metanoia I’ve been on in the less than four years that I’ve worked here,” Muntean said. Michael Rizzo, a junior physician assistant major, is a previous participant in Metanoia and will be a student leader on this weekend’s retreat. The other student leaders include Leanne Casserlie, Rachel Nye, Maddie Rowley, Sarah Lundquist and Grace Dennis. Rizzo said that one of the many benefits about this retreat is that you can come into it not knowing a single person, then leave feeling as if you have a whole community of love and support that you know you can always go back to. “Metanoia really allows you to take time to reflect on who you were, who you are today and where you want to go with your life,” Rizzo said. Rizzo first became interested in participating in Metanoia last spring when his former resident assistant, Sammy Taylor, encouraged him to go on the trip. 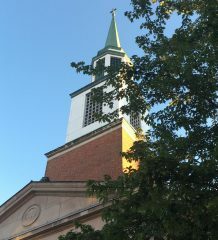 “It was at a time that I was really coming into my own faith but was desperately looking for a group or community to share that with,” Rizzo said. Rizzo said that he was so moved by his experience as a participant that he couldn’t wait to apply and be a leader. He led Metanoia 11 and is a leader again this semester. “Leading a retreat was tough because I had to take a step back and remember that this isn’t my retreat to make all about myself,” Rizzo said. But by the end of the retreat, Rizzo said he could see that the retreatants were moved profoundly, and they all loved their experience. “Even as a leader, I was still able to take away some amazing lessons,” Rizzo said. Rizzo said that Metanoia has not only given him the ability to meet some incredible people, but it also allowed him to foster my friendships more deeply and connect with them on a spiritual level. “Leaving Metanoia 10, it changed how I viewed the word ‘love,’” Rizzo said. Rizzo said he couldn’t be more excited to go on the retreat for his third time this weekend for Metanoia 12.